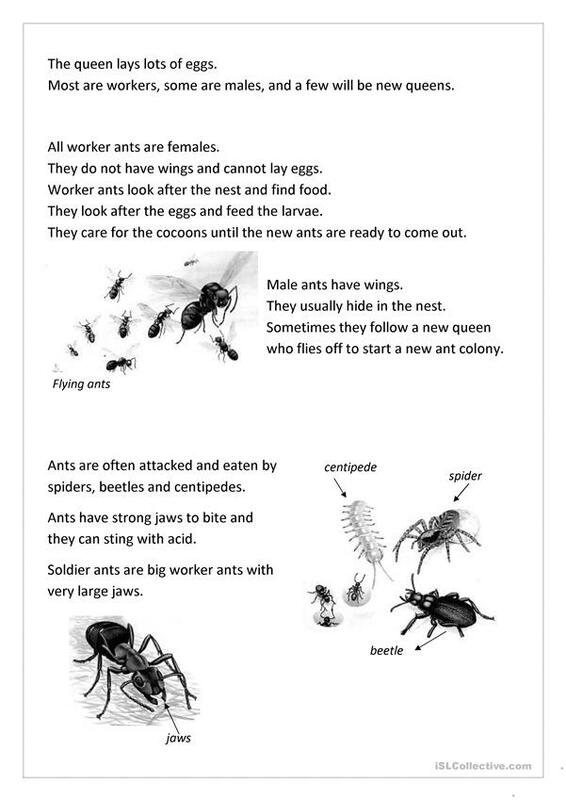 A simply worded, but informative reading about ants. 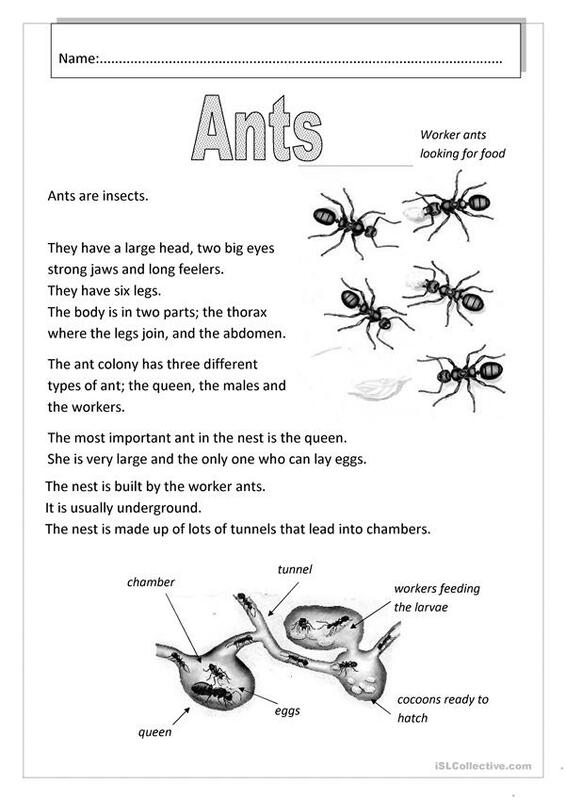 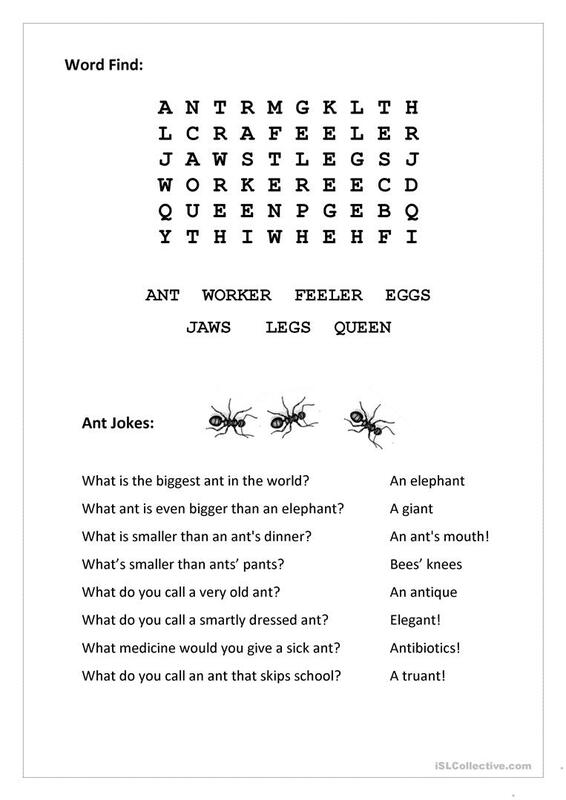 This is followed by a multi-skill worksheet with a wordfind, label the parts of the ant. 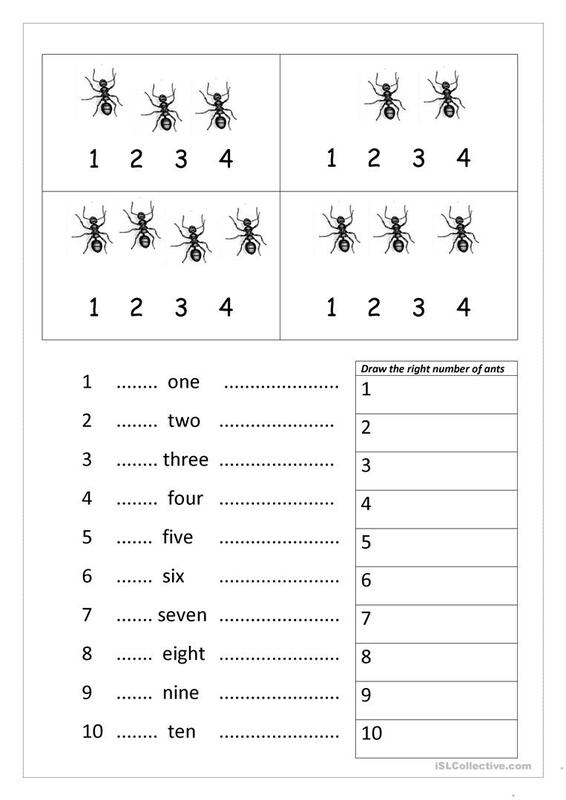 Counting skills etc. 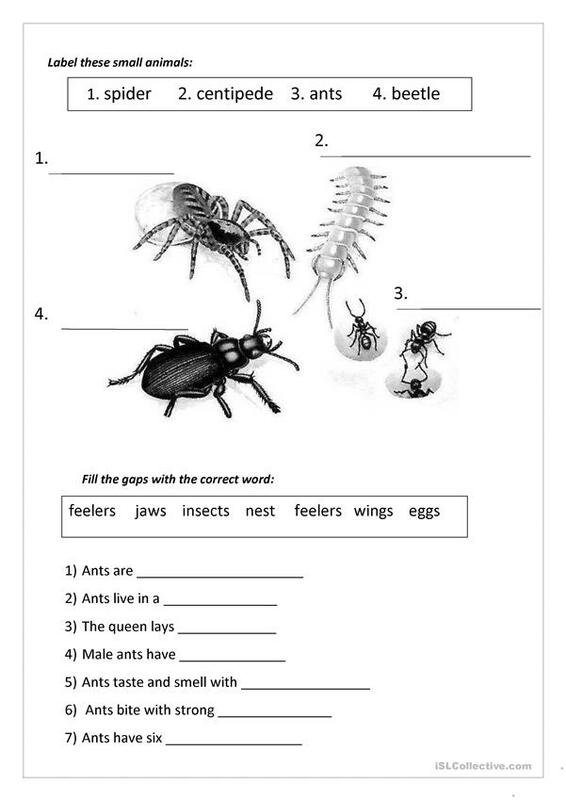 The present downloadable worksheet is intended for elementary school students at Beginner (pre-A1) and Elementary (A1) level. It is useful for enhancing your learners' Listening, Reading and Writing skills. It focuses on the topic and words of Animals.